Having previously gone 25 Premier League games without a draw, a run stretching all the way back to the start of January, Arsenal have taken one point from each of their last three top-flight encounters. Another stalemate could be on the cards when they travel to the south coast to lock horns with Bournemouth this weekend, but the goals market is the one to watch for all those who fancy a flutter on Sunday’s early kick-off. Unai Emery’s men bounced back from back-to-back defeats by Manchester City and Chelsea in their first two encounters of the season to take 21 points from the next 21 on offer. That winning run came to an end with a 2-2 draw at Crystal Palace late last month, before Liverpool left the Emirates Stadium with a point the following weekend. Despite their failure to emerge victorious Arsenal performed extremely well in that meeting with Jurgen Klopp’s side, enhancing their reputation as top-four contenders with a terrific all-round display. They failed to build on those positives immediately prior to the international break, however, with the Gunners rather fortunate to rescue a 1-1 draw with Wolverhampton Wanderers in front of their own fans. Three successive ties have seen Arsenal fall out of the Champions League places, but it is important to remember what the expectations were back in the summer. 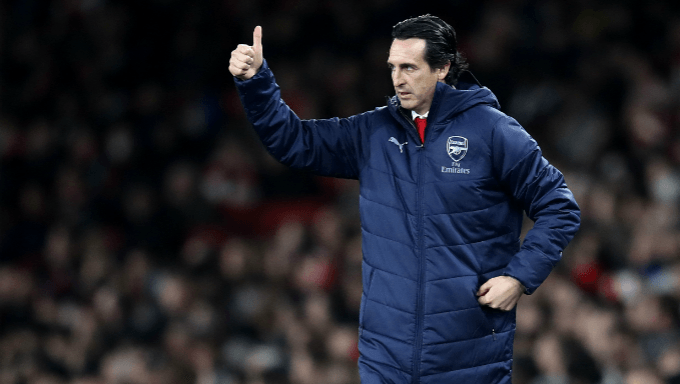 Unless things went disastrously, Emery was always likely to be granted a free pass this term; another sixth-place finish would be tolerated as long as the club’s supporters could see that progress was being made. It is undeniable that the Gunners look like a much better team now compared to this time last year: some of their attacking play has been superb in recent months, and the side is now playing with far greater aggression and intensity. Defensive question marks remain, with 15 goals conceded overall and no clean sheets in their last five league games – Bournemouth, incidentally, are 13/10 with Coral to score at least twice on Sunday – but Arsenal are definitely moving in the right direction. The same can be said for their upcoming opponents, for whom Eddie Howe continues to work wonders. Every year there are those who wonder whether the Cherries’ top-flight stay will come to an end, and every season Howe defies the odds by keeping his side comfortably clear of the drop zone. It is still early days, of course, and a schedule which brings meetings with Manchester City, Liverpool, Tottenham Hotspur and Manchester United before the end of the year could see Bournemouth slip down the standings, but there is no doubt that the south coast side have been the story of the season so far. That Howe has again been able to marry results with a modern, attractive style of play only further enhances his reputation. Bournemouth have some excellent players – attacking trio Callum Wilson (9/5 with Betway to score his seventh goal of the campaign here), David Brooks and Ryan Fraser have all been tremendous – but this is a team which amounts to more than the sum of its parts thanks to Howe’s coaching. Bournemouth’s strength lies in the attacking third. They have found the back of the net 21 times in 2018/19, which is more than anyone but Manchester City, Liverpool, Chelsea and Arsenal, and scored two or more goals in seven of their 12 games up to now. When playing at the Vitality Stadium Howe’s men look to adopt a front-foot, proactive approach regardless of the identity of the opposition in front of them, and they will look to replicate the fast start which brought them a 1-0 lead against Manchester United at the start of the month. Bournemouth Winning After 15 Minutes? The Cherries came flying out of the blocks on that occasion and it could be worth a small wager on the hosts again being ahead after 15 minutes here – you can get lengthy odds of 13/2 with Ladbrokes on that being the case. Beyond that, both teams to score and over 3.5 goals in total look like sensible selections. The former is only offered at a best price of 1/2 with William Hill but could be a good accumulator option, while the latter can be found at odds of 11/8 with BetVictor. These two teams are both stronger going forward than they are at the back, and the fact that Howe does not like to shut up shop when facing any member of the big six should encourage an open, entertaining affair with plenty of goals for the neutrals to enjoy.